ACCEL Motorcycle 8.8mm spark plug wires provide the best in performance and reliability for street or racing use. Each spark plug end is pre-terminated with either a 90 degree or a pliable variangle heavy-duty spark plug boot. 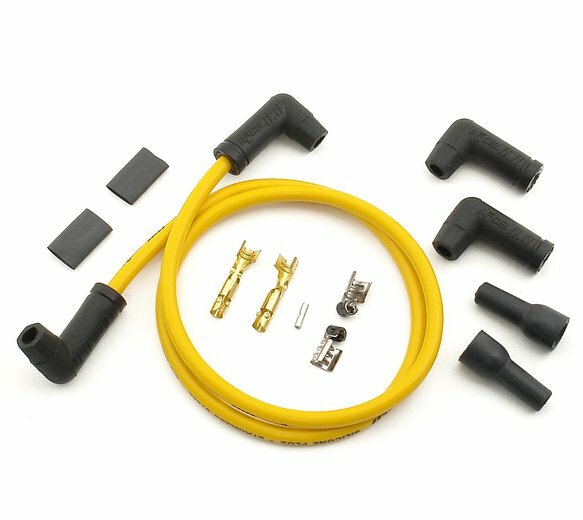 The easy to install hardware kit includes brass locking terminals with boots for male or female type coil ends and easy to read instructions. Each set comes with a complete hardware kit and ACCEL's famous premium quality.